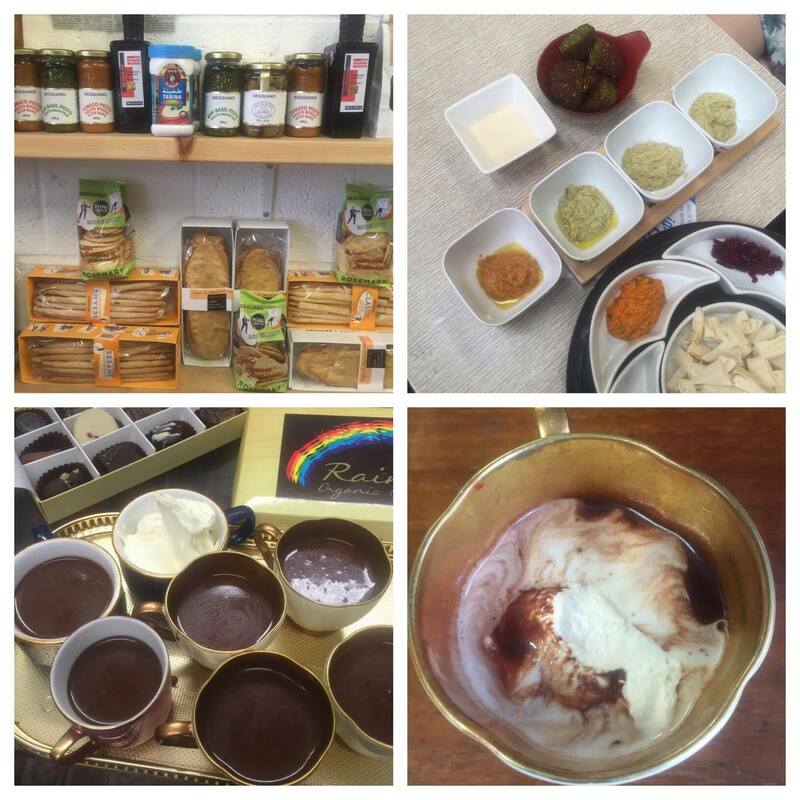 I first came across the Brighton Food Tours when I was introduced to one of the founders, and as someone who does her own independent (greed-fuelled) tours of my home town, my interest was immediately piqued. They launched in April of this year on Fridays and Saturdays offering a whistlestop tour of some of the city’s well loved and less known, independent restaurants, cafes and shops. As someone whose made it her business to get to know all of the nooks and crannies of Brighton’s foodie landscape, there weren’t many surprises, but still a couple I hadn’t visited. I actually spoiled the surprise for myself a little by reading a couple of reviews in advance of the tour – in which the entire route, and food on offer was detailed. Sooooo, if you have come here direct (gawd knows I love ya), rather than binge reading lots of reviews, hopefully this will whet your appetite, but leave where you’ll be visiting, slightly shrouded in mystery! 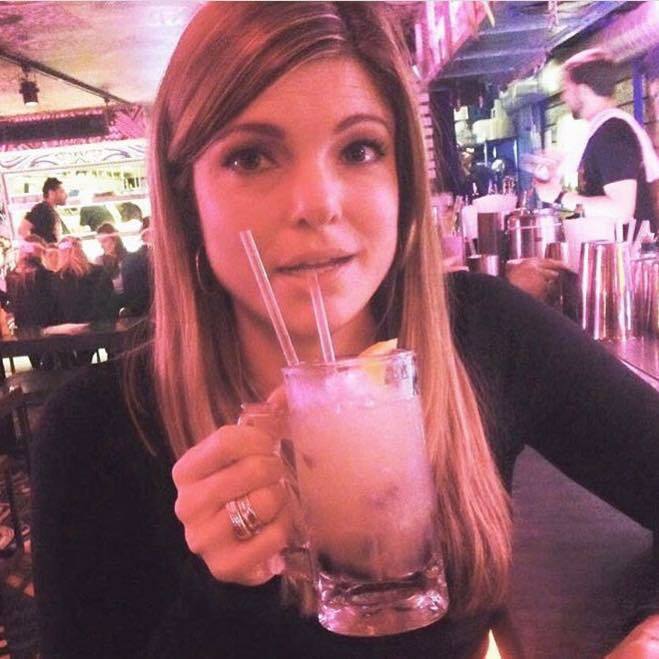 I tried my first matcha – not really a fan. I need to keep trying to force myself to like different variations of tea though, I like the idea of them, and they can’t all be rank… surely!? The Open Market is somewhere I’ve visited quite a few times now and it’s definitely worth making the trip down London Road to have a poke around the eclectic mix of stalls, shops and cafes it’s home to. I hear great things about Kouzina, the little Greek Cafe in there and we visited a couple of places on the tour that hadn’t ever really popped up on my radar, so for me, this part was a real treat. As well as the 9 scheduled venues we were shown various foodie landmarks, destinations and focal points, and more than a few snippets of trivia we were told were news to me. 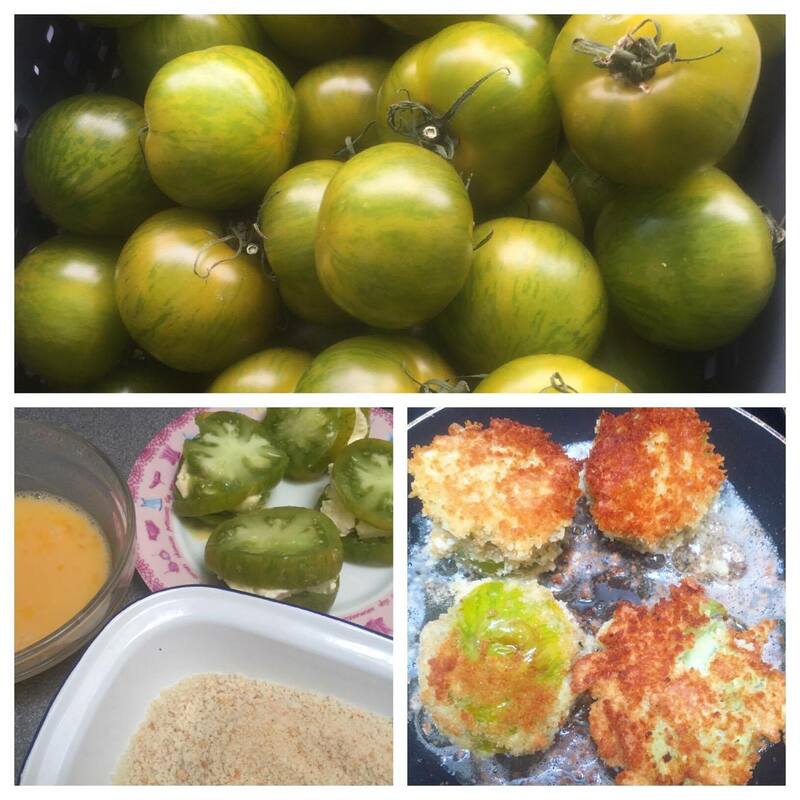 You get a 10% discount at all of the stops and I bought these green tomatoes (£2.63) which I later stuffed with Vallage cream cheese, dipped in egg and breadcrumbs then fried them in butter and olive oil until crispy – and bloody lovely they were too. 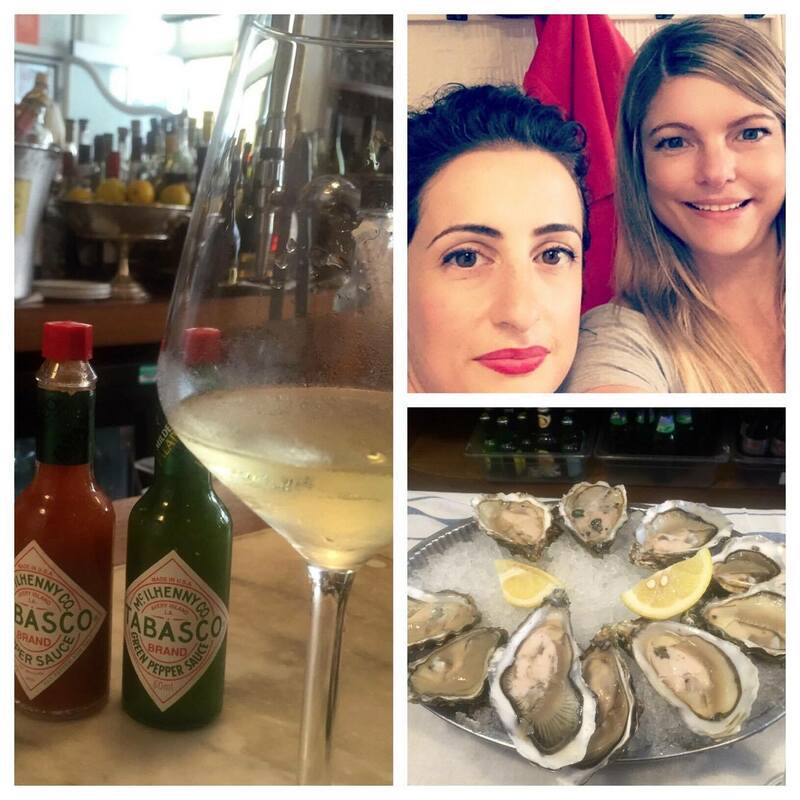 We took the weight off our feet with some wine and an oyster at one of Brighton’s ‘institutions’ – it’s actually where my parents had their wedding breakfast, which I was present at, (true story) so I have a bit of a soft spot for it. They market themselves as tours for residents as well as visitors, so as long as you’ve got an interest in food and don’t mind a bit of a walk, I think it’d be a experience most people would find fun, informative and delicious. I went on the tour as their guest* but I think £35 is a reasonable price. 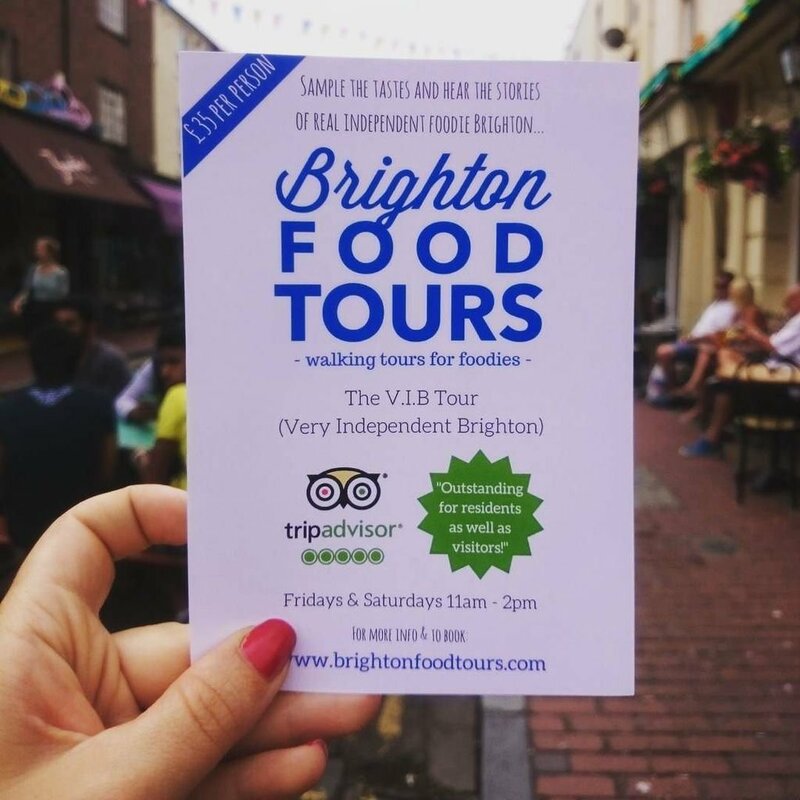 Have you been on a Brighton food tour? Do they do something similar in the city or town you live in? Do post in the comments section below or hit me up on my social media, I absolutely love hearing your feedback and recommendations! *any meals which were free of charge are clearly stated or marked with an asterisk, you can read my full disclaimer here. What a fab idea! I just discovered there is one here in Phoenix/Scottsdale too and after reading your article I might just give it a try (when it gets a bit cooler obvs!). Thanks! … oh and also meant to add that I too have tried all manor of weird teas (plus loads of different iced teas here) in the hope I can get to like them but sadly I have to report that yes … they are all rank!